Our product range includes a wide range of medium duty caster wheel, caster wheel, pu caster wheel, heavy duty caster wheels, nylon caster wheel and rubber caster wheel. Color Available Grey, Black, Red etc. We present our premium range of Medium Duty Caster Wheel, with double thrust bearing. 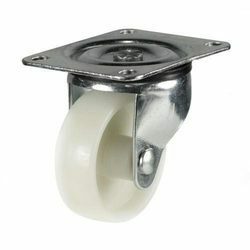 Our casters come fitted with special hollow rivet, which functions as racing as one of the thrust bearings. It has been specifically designed to accommodate an extra number of balls in the same area. 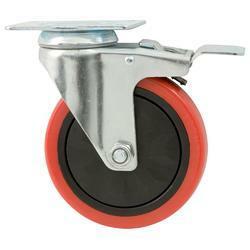 Our casters are renowned for providing smooth movement, even at heavy loads. This has only been possible because the loads get divided among more number of balls. Color Available Black, White, Red etc. We are instrumental in offering high-quality Caster Wheels, which are meant for carrying extra heavy loads. These products are widely acclaimed by our clients for their high tensile strength, durability, cost-effective prices and longer functional life. Our product has the robust construction with the sturdy look. The Casters come with a Heavy duty ball race assembly, which takes care of radial, axial and thrust loads. These products are ideal for load carrying trolleys, which puts immense pressure on floors. 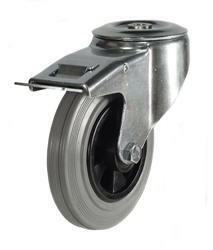 We offer a broad range of PU Caster Wheel that rotates freely and is easy to operate. Color Available Red, Orange, Black etc. 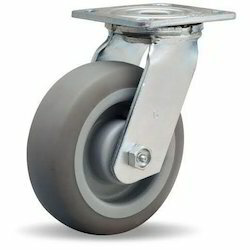 Backed by the team of highly qualified professionals, we offer Heavy Duty Caster Wheels of fine quality. 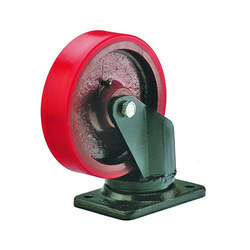 Being the leaders in the industry, we offer Nylon Caster Wheel of fine quality. These wheels are used in various trolleys and can be availed in the different size to meet the requirement of the clients. We are one of the prominent organizations engaged in manufacturing and exporting Rubber Caster Wheel, which is known for their high durability, longer functional life and corrosion-resistance. Color Available Grey, Red, Blue etc. 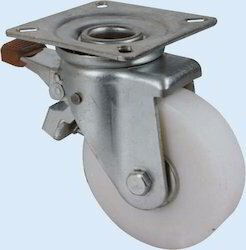 We are offering a wide range of Light Duty Caster Wheel which is manufactured with quality raw material. These light duty casters are both sleek and functional. These casters are manufactured under the guidance of highly skilled professionals.